If you purchased a copy of the first printing of the book, you have several options: you can be happy with what you’ve got, you can exchange what you’ve got for a copy of the new printing, or you can keep what you’ve got and buy a copy of the new printing at a discount. Check out this post on the FLOG! Blog for the official details. Setting aside the issue of the annoying visual artifacts that have emerged from my amateurish processing of the low-resolution colour JPEG of the original cover, I think it’s obvious that while the title in the above version of the cover has become more difficult to read, the illustration itself is now more easily decipherable and has a lot more pop! 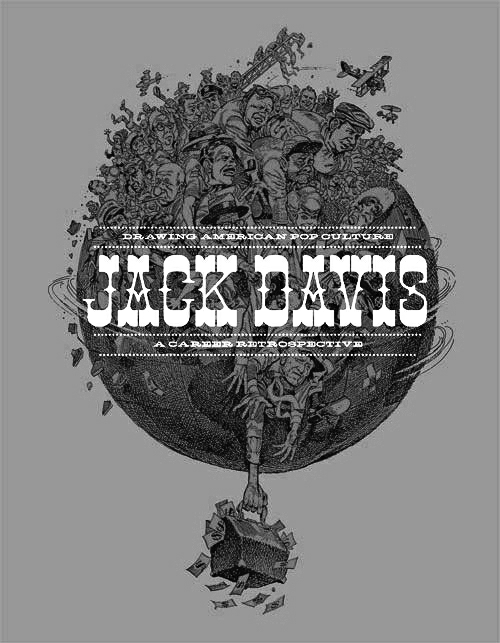 But why mess around with the contrast at all when it would have been so much easier simply not to put really busy lettering over a really busy illustration? 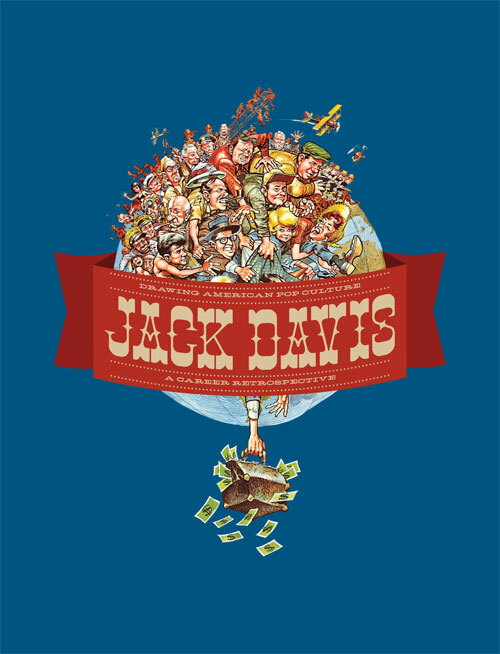 I suppose the fundamental question for me is, what ought to be the main attraction on the cover a coffee-table book devoted to the art of Jack Davis: some old-timey title lettering or Jack Davis’s art? I think it should be the art. The designer, obviously, had a different idea. Until now, that is. 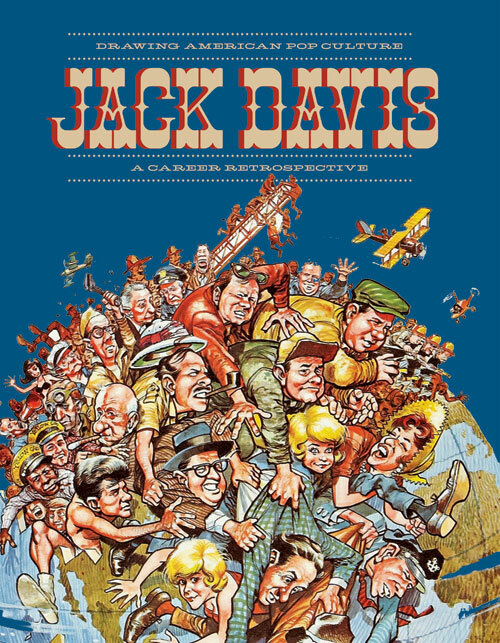 To me, Kurtzman and Davis’s cover stands head and shoulders above any of the designs I’ve seen for Jack Davis: Drawing American Pop Culture. 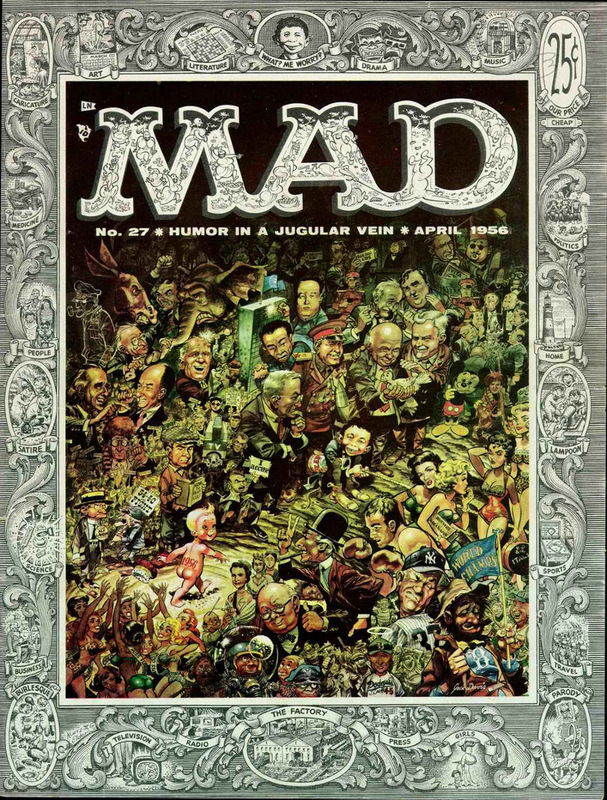 But don’t be angry at me for pointing this out, Fantagraphics: I still do plan to buy the book.